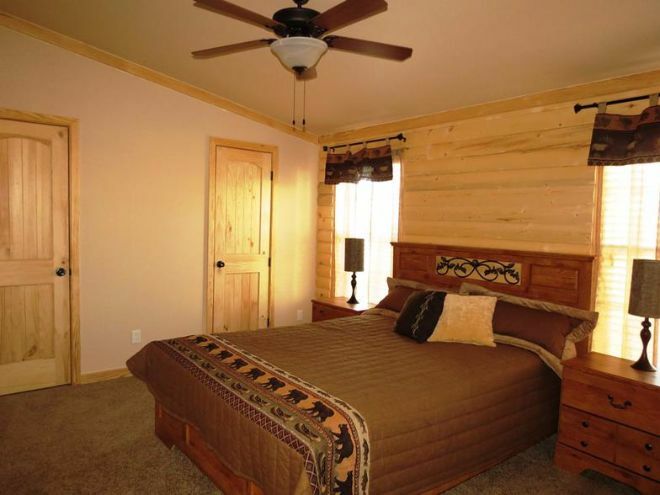 Pine Mountain Cabin 840 by Recreational Resort Cottages and Cabins has outdone itself with this enormous portable unit. 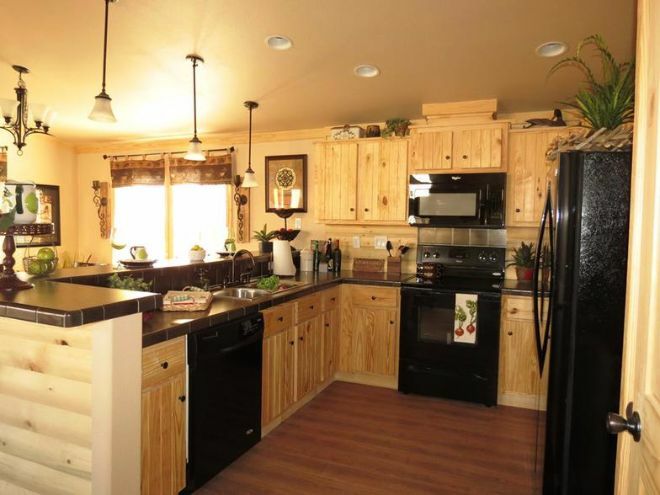 With two large bedrooms, a huge kitchen and stand-alone hidden pantry, as well as the classic open-plan living and dining room, once inside this amazing cabin, you won’t want to leave. Even from the outside, you can see how enormous this family-designed model is. 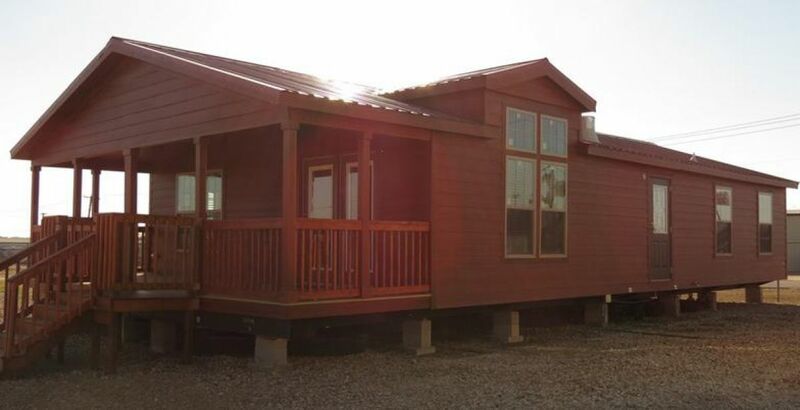 Built with dark mahogany-stained panels, this dream cabin is elegant and functional at the same time. We can’t wait to look inside, can you? From the sheltered porch, you enter into an expansive open-plan living and dining room. The first thing that strikes you when stepping inside is the high ceilings, giving this model an airy feel without taking away from the warmth of the natural, rustic colors of the furnishings. In addition to the patio doors leading directly onto the outdoor porch, the huge living room windows flood this space with light. 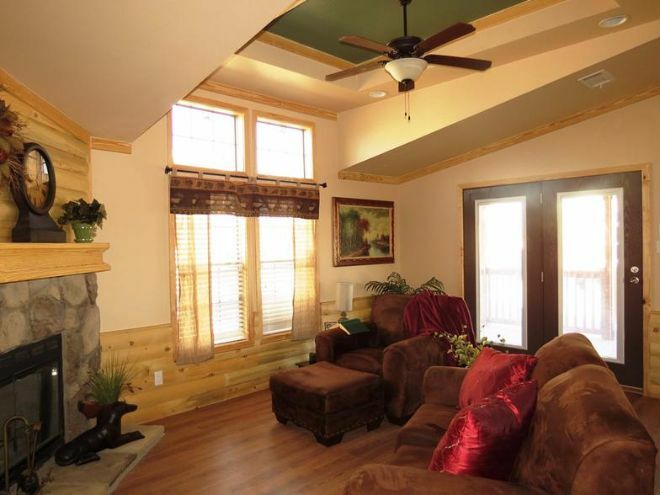 We love the corner stone fireplace – a perfect way to heat up the living space during winter. 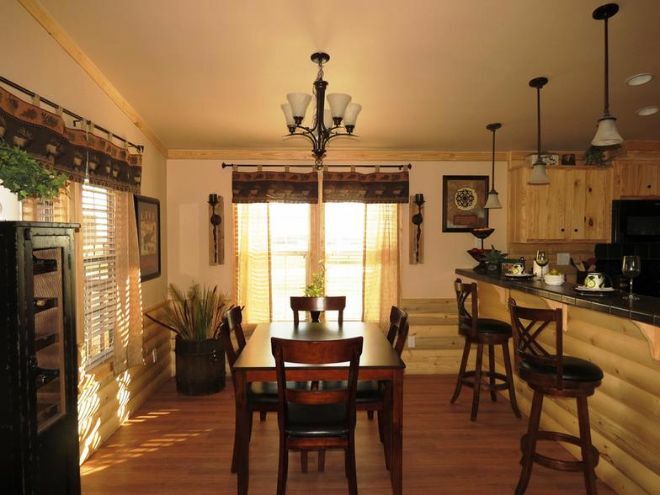 You wouldn’t think such an extensive dining area would be possible in a traditional cabin model, would you? 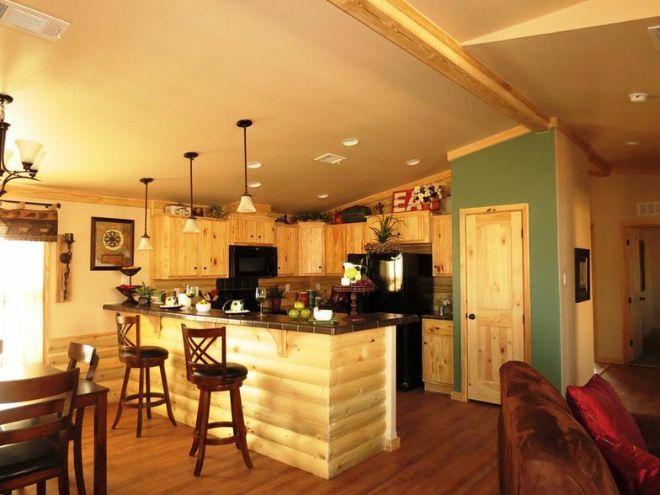 Once again, Pine Mountain 840 surprises us with a lovely bright space for eating. 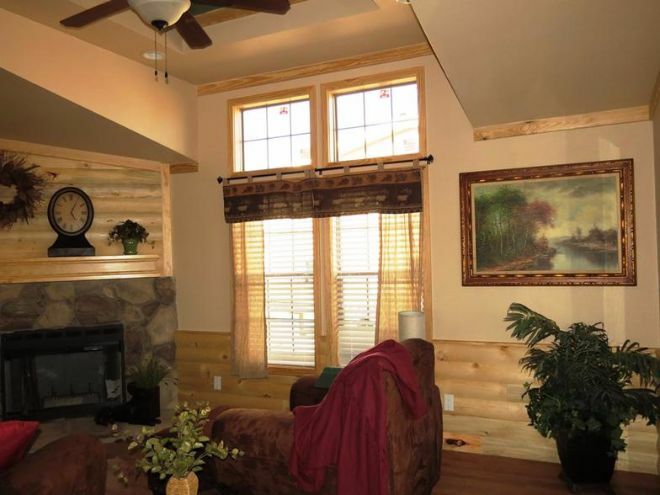 The light wood laminate flooring found throughout this cabin contrasts beautifully against the half-wood log siding of the walls. This fully-equipped kitchen is lined with top and bottom cupboards fitted with all the modern appliances we expect from a contemporary design. The light wood which is characteristic throughout this tiny house is wonderfully contrasted with the black countertops. Need even more space? Don’t forget about that hidden pantry to the side of the fridge! 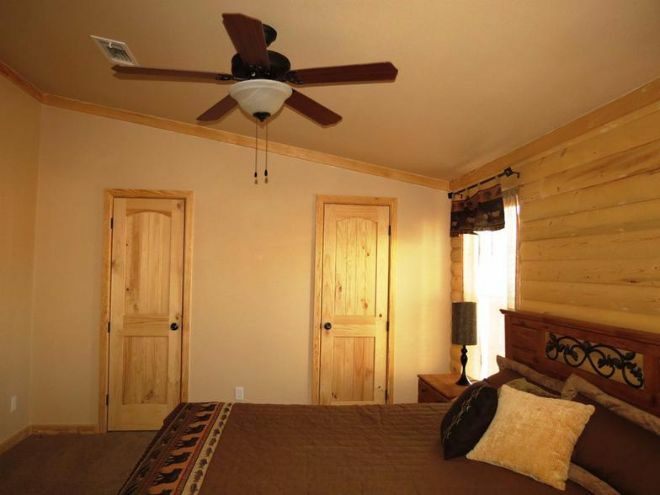 Pine Mountain 840 boasts two sizeable bedrooms, the larger of which has built-in closets hidden behind pine wooden doors. The neutral tones and slightly slanting roof induce relaxation and sleep – what a wonderful place to retire to after a long day in the countryside. 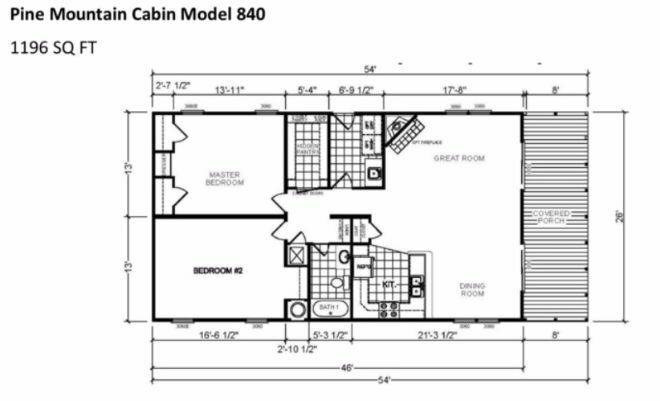 Would this make an excellent family vacation cabin? LIKE and SHARE on Facebook if this is just what you are looking for!